Over 18 holes, there are three separate bets. For 6 holes, each player takes his turn to play with an imaginary “Pro”, i.e. the ‘pair’ are guaranteed at least a par on each hole, maybe better if the player can score better than par (net). The other two players have to try to beat that score to win a hole. As with normal match play, each player takes his shots off the lowest handicap, i.e. the “Pro”. After 6 holes, the bet is settled, and another player takes his turn to play with the imaginary “Pro”, and a new 6-hole bet begins. As with all gambling, take care. Here is the USGA’s official Policy on Gambling, which encapsulates sound guidelines: “The USGA does not object to informal wagering among individual golfers or teams of golfers when the players in general know each other, participation in the wagering is optional and is limited to the players, the sole source of all money won by the players is advanced by the players on themselves or their own teams and the amount of money involved is such that the primary purpose is the playing of the game for enjoyment.” A friend of mine a few years back joined up with a 3-ball at Blue Canyon in Phuket he had not played with before and on the first tee, having fixed partners, one of the group proposed playing for “the usual, 100/100/100”. Assuming this meant 100 baht (about 3US$) per front nine, back nine and match, my friend agreed. He and his partner played well and on the 18th green he was shocked to be handed 300 US$, an amount he could have ill afforded if he had lost! 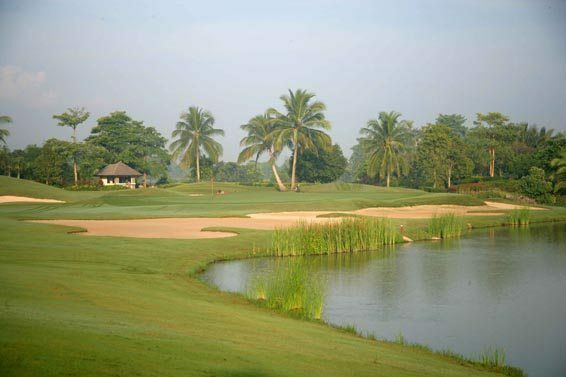 I have written before about various forms of gaming when golfing in Thailand. I would appreciate hearing from you if you enjoy other betting formats.